When you first bought the house that you and your family are living in right now, you might not have initially paid much attention to the number of bedrooms included in it. You may even have been thinking at the time that your children could share a bedroom, or you yourself wouldn’t mind sleeping in what used to be an office. However, unexpected situations such as guests visiting your house or a relative dropping by and planning to stay overnight can necessitate the need for you to have an additional bedroom. If you’re unable to come up with enough money to have a brand new bedroom added to your house, you might want to consider renovating your old garage instead. Why Are You Using Your Old Garage as a Junkyard? Your house might have come along with a garage when you first bought it, as most houses often do. But over time, you may have resorted to just using your old garage as a storage place for all kinds of junk that you have acquired throughout the years. You might have forgotten somewhere along the way that your garage is supposed to be a place where you park and store your vehicle. Maybe you don’t even have a vehicle at all, but you bought your house along with its garage anyway. You’re not letting your old garage realize its fullest potential by merely relegating it to an enclosed junkyard. 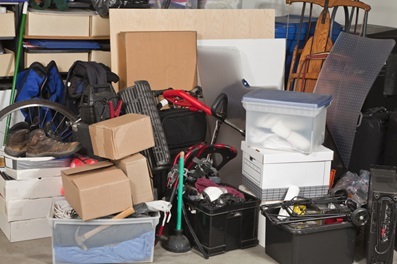 A lot of space is getting wasted by dumping items that you feel aren’t that useful anymore inside your old garage and just letting them sit there and collect dust. How Can You Turn Your Old Garage into a Brand New Bedroom? 1. Declutter your old garage. All the old items stored in your old garage have to go for you to be able to turn it into a brand new bedroom. You can hold a garage sale just outside your house if you think that any of your neighbors or anyone who might pass by the area may find some use for your old belongings. You can also send your old items to a pawnshop nearest you for them to appraise which ones can be pawned in exchange for some cash. If you’re generous enough that you’re into helping other people you don’t even know at all, you can donate some of your old things to your charitable institution of choice. 2. Add some insulation to your old garage. As you would want anyone who decides to spend a night in your garage-turned-bedroom to get comfortable with it right away, you should be sure that your garage is properly insulated. Since the floor of your old garage is most likely to have a slightly lower elevation compared to that of your house, you would want to raise it a bit by adding a layer of insulation and pouring some concrete on it. You should also add layers of insulation to the walls and ceilings of your old garage so that whoever wants to hole up in there¾especially during the winter months¾would be able to sleep peacefully. 3. Refurbish your old garage. Turning your old garage into a brand new bedroom should be less about retaining any garage-like qualities it has and more about totally redesigning it so that it becomes an entirely functional bedroom. If your old garage doesn’t have any windows, you would want to tear down parts of its walls and install large windows to give it a roomier feel. The rolling door that you’ve previously had in your old garage could probably use a garage door replacement¾or be updated with sliding glass doors instead. 4. Add some bedroom furniture. Any bedroom can’t be called as such without any of the furniture associated with it. It should’ve been evident to you by now that the very first thing you should put in your old garage that you’re turning into a brand new bedroom is a bed¾particularly a double size one, so that two guests can sleep comfortably. You can also add a dresser, a bedside table, and a handful of shelves in there to further enhance its bedroom quality. Having a brand new bedroom added to the existing structure of your house costs a lot of money¾not to mention the chaos it would bring to you and your family’s living situation once the construction crew you’ve hired starts working on it. By turning your old garage into a brand new bedroom, you can save money, as most of the renovation work can be done on your own. All you have to do is to carefully plan and invest in features that should make your brand new bedroom a comfortable place to stay. George Anderson – George is a specialist when it comes to lowes doors and other garage doors. Working in the industry for over 20+ years he takes pride on helping his clients fulfill their needs when it comes to garage construction. In his spare time he loves spending time with his family.